Here are two reviews of historian and fiction writer, Ian Mortimer’s wonderful book written six years apart. 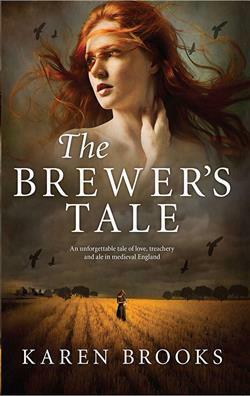 I first read this book in 2013 – not once, but twice, when researching my medieval novel, The Brewer’s Tale. I loved it then and enjoyed it even more now as I commence research for my next fictional foray into medieval England and Europe with my new novel, tentatively entitled The Mostly True Story of the Wife of Bath. So expect a great many works of non-fiction about these times and fiction set in this period as well to be reviewed over the next few months! 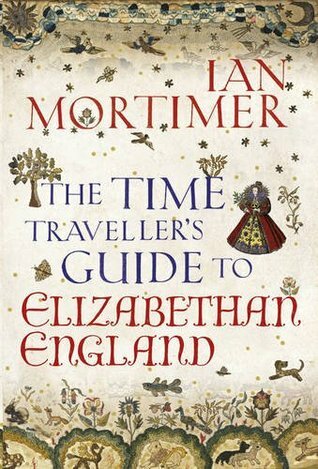 Original review written in 2013: Historian Ian Mortimer does something really interesting with this book: he sets out to recreate the period (the Fourteenth Century) as if he were writing a travel book for tourists as opposed to researching and explaining a forgotten time. In other words, he places the reader in the moment, advising you where to go, what to see, how to behave, speak, dress and what to expect should you happen to have the good fortune to be transported back to not-so-merry old England in the 1300s. After my second reading of this book in less than a year, I wish I had access to Dr Who’s Tardis because, with Mortimer’s well-thumbed book under my arm, I would head straight for Exeter, where the book opens, prepared for the ordure of the aptly named, Shitbrook, the breath-taking sight of the cathedral, avert my eyes from the remains of criminals clinging to the gallows, and be careful not to stare at the bright and strange clothes the people are wearing, while tripping along the cobbles, one hand firmly on my money so a cut-purse does not take it. Like many contemporary historians, Mortimer believes in social history, reconstructing the past in order to understand how it was lived and not simply by kings, queens, monks, lawyers and nobles, those who have left records of their deeds and desires for us to absorb and through which we judge them. Instead, Mortimer turns to all classes and all experiences and takes the reader on a magnificent and fascinating journey back to a character-filled society with its own delights and dangers. It was so good the first time, I did it again and liked it even better. Explaining where to stay, how to tell the time, greet people (Eg. “fellow or friend, ye be welcome”), about the sumptuary laws, what certain coins look like and what you might be able to buy and where, what diseases we might succumb to if we’re not careful, what we might be served and how to eat it whether it be in an inn, a peasant’s house or a king’s castle (all of which are thoroughly described as if you’re on a guided tour), Mortimer runs the gamut of class and place in this vivid recreation that is at once hugely informative and always vastly entertaining. Even how to avoid running foul of the law and what punishment might be meted out is made clear as well as the significance of religious observances. Medieval humour is also explored as well as, for those so inclined, where you might find the best er hum, sexual services (Southwark, the Stews, or specific areas in London, in case you wanted to know). He also discusses how to entertain ourselves while we’re there (the Stews aside) and who, among the great figures known to us now, we might expect to encounter on our journey – Geoffrey Chaucer anyone? He has rooms above Aldgate. Just when you think you’ve stepped back into the present, Mortimer will remind you to take a deep breath and stop. Listen, he advises. What do we hear? Very little. Maybe some bells, the sounds of birds and animals and, above all, the chatter and clutter of people should we be near a town or city. Or, if present at a joust, the thunder of hooves. The medieval world is a very quiet place, something I hadn’t considered, along with many of the other preconceptions and yes, prejudices I had about this period and which Mortimer’s grandest of tours manages to overturn. If you’re looking for a book that will literally transport you to another time and place, than I cannot recommend this one highly enough. A fabulous read. Review written March 2019: Having just reread this marvellous book, I have to change my rating to five plus stars. This was even better on a third read. Immersive, dark and wondrous, Mortimer really does bring alive aspects of the calamitous Fourteenth century and the people who inhabited this era. This was a hauntingly lovely, deeply sad book that remained with me long after I finished it. Set in the Golden Age of The Netherlands, in Amsterdam in 1868, The Miniaturist tells the story of young Nelle (Petronella) Oortman who arrives on the doorstep of her new husband’s house and, as she crosses the threshold of this tidy, well-ordered home, steps into another world. Her husband, the wealthy, charming Johannes Brandt, lives in a place far removed from Nelle’s sheltered and rather Godly life in the country with her mother and younger siblings. In Amsterdam, the heart of trade and merchant-living in Europe, it’s guilders before God, and sweet Nelle finds the surface splendour and prim facades disguise deeper and curious as well as highly hypocritical undercurrents. Swept into a life in which she feels she has no place, she is forced to deal with Johannes demanding sister, Marin, whose aloofness is countered only by her maid, Cornelia, who appears to Nelle to not understand the boundaries between employer and servant. A situation that’s made more puzzling by the presence of the coffee-skinned Otto, whose kindness and humanity is, when he leaves the house, disregarded by locals as his exoticness takes over, earning cruel barbs and awful assumptions. Nelle is overwhelmed by all this and prays that love will smooth her path, especially when her husband appears to neglect her. Part mystery, part lyrical portrayal of families and relationships and the complex webs we weave and in which we entrap ourselves and others, The Miniaturist is also an examination of social structures and the lengths people will go to in order to protect their place, their role, conceal their secrets, maintain what to some might be lies but to others are the veneers we must never allow to crack. Burton’s understanding and portrayal of the repressed but seething society of Amsterdam of this time is stunning. Her use of the doll’s house as an analogy for what goes on behind other closed doors, of how we can be fashioned in another’s image, moulded to an ideal, is very clever. I remember seeing these dolls’ houses at the Rikjs Museum when I lived in The Netherlands and thought them amazing. Their use here is unique and eerie. 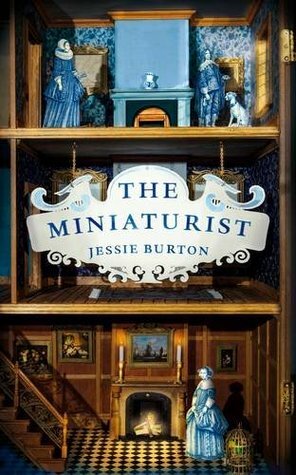 Unlike the life-like dolls made for Nelle and which she places inside her doll’s house, the characters in Burton’s real Dutch houses that abut each other, line the canals and share the repressive joys of community, come to life in ways that are surprising, distressing, utterly gripping and heart-wrenching. I found this book hard to put down and am not surprised by the accolades it has received. Terrific.